The ISPM Welcomes New Members! 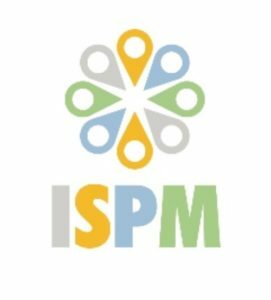 Organized for the second time, the International Society of Participatory Mapping (ISPM) conference brings together scholars, planners and practitioners working with participatory mapping and spatial participatory methods. Hosted by Aalto University in Finland, the 2019 conference provides a platform for presenting recent advances within the field of participatory mapping and initiating discussion on the current state and future directions of the research. Rapidly increasing applications of participatory mapping methods within and beyond academia challenge the community to enhance transdisciplinary collaboration and to advance the circulation of good practice. With the theme “Let the people map”, the ISPM 2019 conference invites us to approach these questions with a special focus on novel ways of facilitating dialog between participatory mapping researchers and practitioners. The International Society of Participatory Mapping (ISPM) offers financial support for a limited number of participants to cover parts of their costs for attending the conference. As a part of our mission, we encourage individuals and students from low-income countries, indigenous and minority groups, and women to apply. Student rate applies to those registered for a higher degree. Student registrations must be accompanied by an official letter attesting to student status. These should be emailed to contact@ispm-conference.com (Please do not email credit card information under any circumstances) to support your registration. The Society’s objectives are to encourage and support the development, experimentation, evaluation, and application of participatory mapping methods globally in order to foster interaction and research in this scientific field, and to coordinate with other organizations in the study of participatory processes, mapping, and quantitative analyses. The Society places a strong emphasis on fostering opportunities between the Global North and South in order to promote a more equal distribution of knowledge and resources across fields, including marine and environmental planning, urban and rural planning, public policy, counter mapping, and indigenous rights. Encouraging an environment of international colleagueship and friendship across the globe. The Official Bylaws outline the organizational structure of the Society. We are an eager group of collaborators including graduate students, faculty members, volunteers, and practitioners. The formation of a participatory mapping international organization is well-timed with the proliferation of mapping technologies, crowdsourcing platforms and social justice issues emerging in every corner of the world. Participatory Mapping is the field of research and practice engaged in leveraging geographic technology to support public participation. Applications for participatory mapping methods range from indigenous rights, to smart cities, to biodiversity conservation. Our organization is unique in that we embrace the interdisciplinarity of the challenges faced at all levels of community and governance. The International Society for Participatory Mapping (ISPM) was conceptualized at the first International Participatory Mapping Conference at Cal Poly in July 2017. Since then, we’ve formed a small group of academics, practitioners, and activists who believe in the ideals of participatory mapping and its potential for promoting equality and social justice. To do this, we are seeking like minded individuals to be on our Executive Board. The Executive Committee shall consists of the President, the Immediate Past-President, the Vice President, the Treasurer, and the Secretary. Ex-Officio Members of the Executive Committee include the International Conference Chair and the Immediate Past-International Conference Chair; the Directors-at-Large; and the Communications Officer. The Executive Committee may also invite additional Past-Presidents to continue to serve on the Committee. The appointments are for 4 years. The committee meets via skype once per month at 9am and 7pm EST time. An outline of the each role is below. Membership is obligatory! The Treasurer shall receive all funds of the Society and be responsible for them. They shall record the dues status of each member of the Society and present reports of the financial condition of the Society, when required by the Executive Committee. They shall disburse the funds of the Society, as and when authorized by the Executive Committee. The Directors-at-Large shall act as Board Members and work with the Officers in the Executive Committee to make decisions for the Society. There will be four Directors-at-Large and one Student Director-at-Large (of qualified student member status at the time of election). At least two of the Directors-at-Large should represent low- and lower-middle-income countries (LMIC) and at least two members should be women. The Communications Officer shall serve as the social media coordinator and newsletter editor, updating the community about relevant work and acting as an intermediary between the Executive Committee and the Society’s members on the Participatory Mapping Discussion listserv, the Participatory Mapping Slack, Facebook, and Twitter. Committee Special Advisors are unofficial members of the Executive Committee who provide advice to the the Executive Committee at an ad-hoc basis. The Advisers will be provided a monthly report of the EC’s accomplishments and will be the main point of contact for specific field interests. These interests include, regional, technological, and methodological specialities. The EC will seek to maintain at least 5 special Committee Advisors or as many as 10 per tenure. Committee Advisers are expected to disseminate information among their networks pertaining to ISPM’s official mandate and act as facilitators between their affiliated organizations and ISPM. Participatory mapping (PM) refers to the multiple ways humans create and communicate knowledge, experience, and aspirations about the world in maps. A consistent aspiration of PM has been to engage and empower marginalized or under-represented groups in society through the use of spatial technologies. Participatory maps—whether simple or complex—are created for a wide range of human/environment applications such as delineating territorial boundaries, identifying important places that sustain livelihoods and quality of life, mapping biological diversity and ecosystem services, and communicating preferences about future land/marine use. Over the last two decades, the growth and interest in PM has evolved and progressed from diverse application domains (indigenous/rural/community development, urban/regional planning, and environmental/natural resource management/conservation) in recognition of the potential for PM to address complex issues and problems. Applications for participatory mapping methods range from indigenous rights, to smart cities, climate adaptation and biodiversity conservation. © 2019 International Society for Participatory Mapping.